Open up to reveal lots of rooms and the garden! 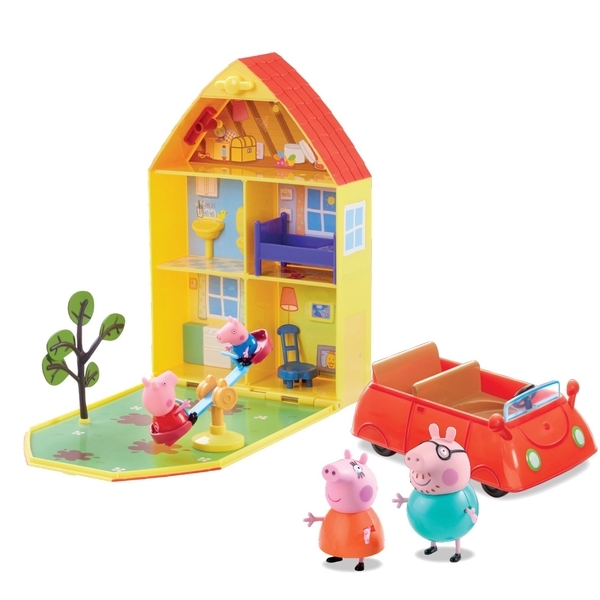 Have lots of fun with this Peppa Pig Family Home Playset. Open up Peppa's House to reveal lots of rooms and a garden area! There's lots of furniture, 4 articulated family figures, plus a see-saw and tree for outdoor fun! Make up lots of Peppa Pig stories, push Peppa & George on the see-saw, then pack up and carry away with the carry handle. Also includes free-wheeling car.